The CCM JetSpeed FT2 Senior Hockey skate is the evolution of CCM’s one-piece boot to help you generate more speed in every stride. Featuring the brand new LITEFRAME 360 EVO technology, the JetSpeed FT2 skate surpasses all of the expectations of a lightweight and high performance skate. The new LITEFRAME 360 EVO technology brings the one-piece boot benefits to a new level. 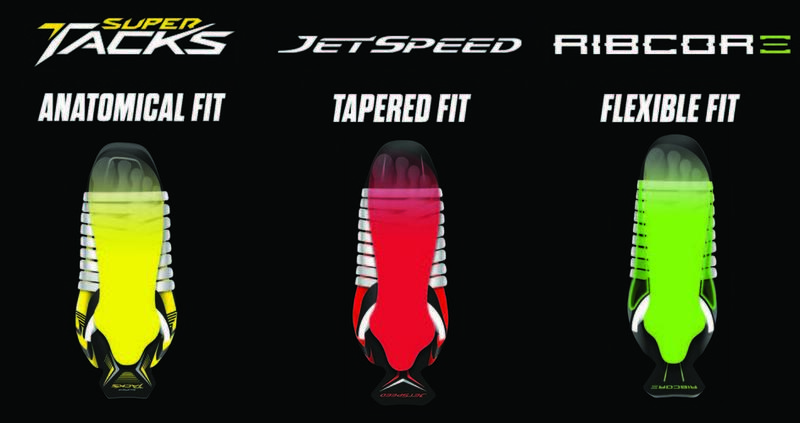 The JetSpeed FT2 provides an enhanced fit that fully wraps the skate around the foot for maximum energy transfer, helping the player to perform and generate more speed in every stride. The new LITEFRAME 360 EVO technology is a significant evolution from the previous JetSpeed generation. The seamless one-piece boot was developed with no outsole, no stitching and no glue in the high energy-transfer zones, providing players with a fit so close, it becomes a natural extension of their foot. The result: Pure performance. Direct energy transfer for explosive power and speed. CCM’s new Speedblade Xchange System was developed as a quick and easy-to-use system to swap blades out, while ensuring players a consistently maximized energy transfer and performance. The patent pending BladeLock technology consists of a positive-lock mechanism which tightly secures the blade to the holder to help prevent the blade from loosening or accidently disconnecting from the holder. A consistently tightly-secured blade to the holder means that energy transfer from the boot to the holder to the blade is maximized in every stride. To operate the BladeLock, simply roll the dial until you feel resistance and pull your blade out. Place your new blade into the holder, turn back the dial and you are back in the game. A premium, oxide-treated blade that helps provide advanced performance, a longer edge life and a higher resistance to corrosion. Features 12% more height than standard blades for better turns and performance. QUARTER PACKAGE - L1TEFRAME 360 EVO - ONE PIECE: New One-piece boot frame increases the foot contact area with the entire skate boot for an improved fit. BOOT MATERIAL - ROCKETFRAME COMPOSITE: NHL-caliber lightweight composite material. 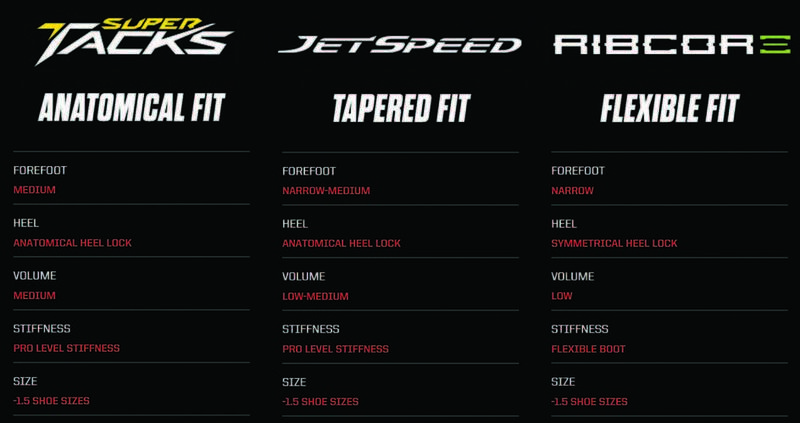 FIT - TAPERED FIT: Provides players with a close, 360-degree tapered fit around and under the foot. STIFFNESS PERFORMANCE INDEX - 195: Super lightweight, highly rigid and thermo-formable core generating ultimate skating performance. LINER - TOTALDRI PRO + WITH DURAZONE ABRASION PROTECTION: High performance moisture-wicking material keeps feet dry and skates light with increased abrasion resistance. COMFORT PAD - INJECTED SMOOTH CONTOUR PRO: One piece injected tendon with dense pad around collar of the boot for improved durability and superior foot and ankle comfort. ANKLE PADDING - MULTI DENSITY MEMORY FOAM: Asymmetrical foam comfort pads wrap anatomically around player’s foot for customized fit and comfort. TONGUE - METATOMIC TONGUE WITH MOLDED LACE-BITE PROTECTION: Asymetrical flex point for a better wrap, with advanced protection and comfort. MIDSOLE - LIGHTWEIGHT COMPOSITE MIDSOLE: Enhanced energy transfer platform for blade to boot interface. FOOTBED - CCM ORTHOMOVE: Customized arch support inserts allow players to enhance the fit of the skate. HOLDER - SPEEDBLADE XS: New quick-release holder with bladelock system. RUNNER - SB XS1 BLACK (+2MM): Premium blade with oxide treatment provides a harder runner with a longer edge and 12% more height than standard blades for better turns and performance.